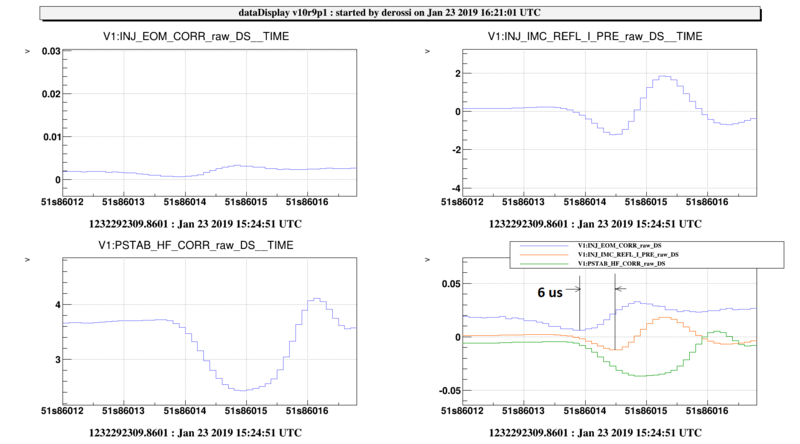 This afternoon, thanks to the 1 MHz channel PSTAB_HF_CORR that Alain just added, we were able to compare the glitches occurring just before fast unlocks (already mentioned in 44457). We took the IMC unlock which occurred at 15:24:51 UTC, and zoomed on the first glitch, shown on figure 1. 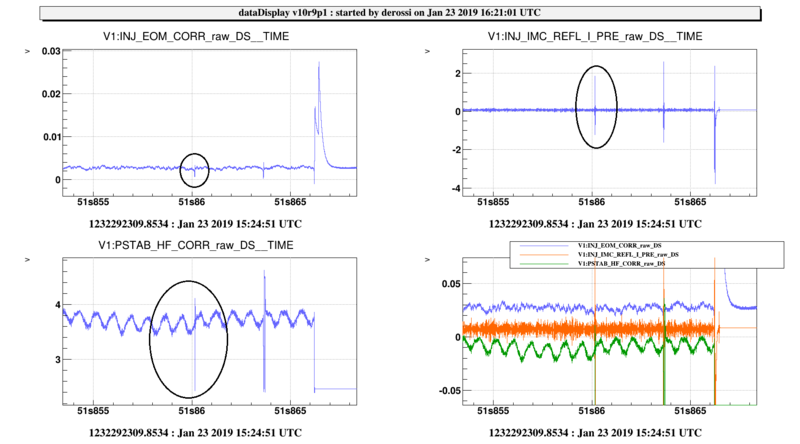 - PSTAB-HF_CORR is the correction sent from the PSTAB rampeauto, whose photodiode error signal is located on the lower part of SIB1 and monitors a pick off of the trasmitted beam. The correction is sent to the AOM just before the PMC.